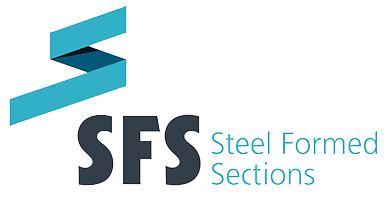 The Management of Steel Formed Sections Ltd recognises the importance of safety management and the implementation of safe systems of work in its workplaces and has compiled this Safety Statement in accordance with its legal duties under the Safety, Health and Welfare at Work. Act 2005. In furtherance of our duty, we will comply with all relevant Statutory Instruments, Codes of Practice and other applicable legislation to ensure the safety, health and welfare of our employees and others affected by our activities. Providing adequate resources to ensure suitable provision is made for the effective management of health and safety and to enable compliance with the requirements of legislation, statutory instruments and codes of practice. Ensuring that health and safety and/or best practice is considered in the planning, design, construction, operation and maintenance of all plant, machinery, equipment and places of work. Conducting a programme of risk assessment for all work activities undertaken by the company. Providing suitable and sufficient control measures that are identified in these assessments and making employees aware of these assessments in the prescribed manner. Communicating with employees on matters affecting health and safety to ensure methods of working are developed and compatible with the provisions of this policy and the individual capabilities of employees. Instructing, training and supervision of all employees. Maintaining a safe working environment and providing safe systems of work for all employees. Providing suitable welfare facilities and where necessary health screening. Every employee has a legal duty to co-operate with the management of SFS Ltd in meeting their statutory obligations. Employees are advised that it is their duty to use the control measures as identified and provided for in the risk assessments and written procedures relevant to any work they undertake. Employees must not put their safety or the safety of others at risk through their reckless actions or malicious intent. This policy will be regularly reviewed and monitored by SFS Ltd. Amendments’ will be made as necessary taking into consideration new legislation and/or improved/new working practises.